Half of the people in the world are women, so half of the professionals in STEM careers should be women too. At Advertising Week, our very own Sean Bryan participated in the “Tech Not Tiaras: How Our Industry is Building Tomorrow’s STEM Workforce” session, where panelists discussed ways we can all encourage our young girls to get involved in STEM fields. Even though women have made valuable contributions to science, technology, engineering, and mathematics, those contributions are largely not represented in those industries. One thought that kept resurfacing was the notion of grounding girls in the idea that getting involved in STEM doesn’t necessarily mean doing things directly in STEM fields, but rather applying science, technology, engineering, and math in innovative ways to reach their goals. To further the idea that if girls can see it, they can be it, we asked women in STEM fields to post two photos on their own Instagram accounts: a “then” photo of their younger selves at 10-18 years-old, and a “now” photo of them as an accomplished STEM professional. The idea was to include a call-to-action for other women to share their own STEM stories, building momentum and putting these amazing women in the forefront to show girls and their supporters that anything is possible. 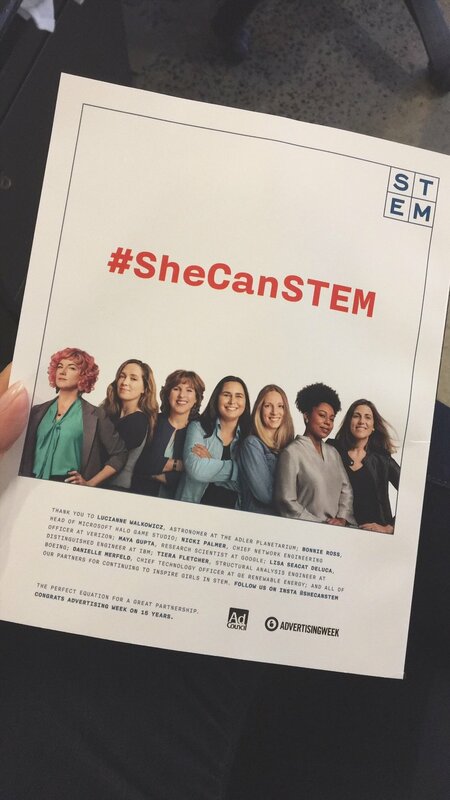 All our campaign work directs viewers to @SheCanSTEM on Instagram, where girls can find campaign content featuring STEM role models, complete with resources from partners and nonprofits. Additionally, the campaign website, SheCanSTEM.com, engages parents, teachers, organizations, nonprofits, and others who are influential in girls’ lives. The site includes information about the campaign, resources from partners and nonprofits, and other information to help girls get involved in and stay in STEM. Since launching on 9/10, we’ve gained 6.7K followers on the new @SheCanSTEM Instagram account, and we’ve seen 945+ posts, from women and girls in STEM, using #SheCanSTEM, including posts from content creators showcasing some of the “unexpected” ways they use STEM in their daily lives. So far, posts have included girls using STEM in fashion, music and blogging, as well as many women sharing their “Then and Now” stories to inspire girls in STEM. The campaign has approximately 5K mentions (publicly available, English-language, U.S.-based). On Twitter alone, the campaign has garnered over 90M potential impressions. The campaign’s hashtag appeared in over 78% of mentions, at nearly 2.7K #SheCanSTEM uses on Twitter, and over 550 on Instagram. Often times we move so quickly from campaign to campaign, that we forget to sit back and see the fruits of our labor. 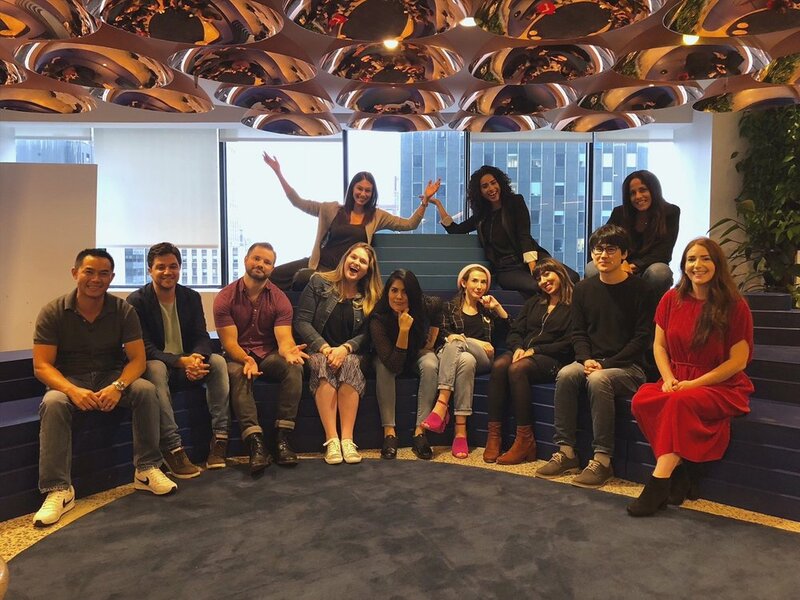 As a female Latina working on this incredibly important initiative, I can truly say that this experience has been nothing short of amazing and one that I will hold near and dear to my heart for the rest of my advertising career. Thank you to every single person who contributed to the work!